“Delivered what was promised...no more problems with roaches. This small but crowded neighborhood can benefit from the expert services of Ecology Exterminating. Since 1973, our skilled and experienced technicians have been solving the pest problems of those in East New York. Contact us today and we'll ably rid your home or apartment of all pests, including bedbugs. We take all major credit cards. Those living in East New York on average see a higher incidence of cockroaches and rodents than neighborhoods in Brooklyn and the entire City of New York. About 39% of the homes have cockroaches and 32% see mice or rats. Bedbugs are not as big a problem as they are in other areas with about 9% of the homes having to control them. The residential neighborhood of East New York is 1-square-mile, comprising developments including East New York, Cypress Hills, Highland Park, New Lots, City Line, Starrett City, and Ridgewood. Approximately 90,000 people live here. The housing units are mixed with two- and four multi-family homes, some apartment building and also detached houses. The East Brooklyn Industrial Park is also located in this neighborhood. 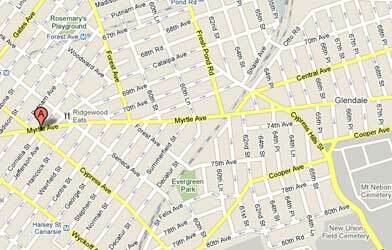 To the south, East New York is bordered by Jamaica Bay, while to the north, it is bordered by Cypress Hills Cemetery. The western border is marked by the railroad tracks at Van Sinderen Avenue and the east sees the Borough of Queens as the neighborhood's stopping point.